← Free Friday Dinner this Friday! PUMPKIN CARVING! Last Friday Dinner of the semester! 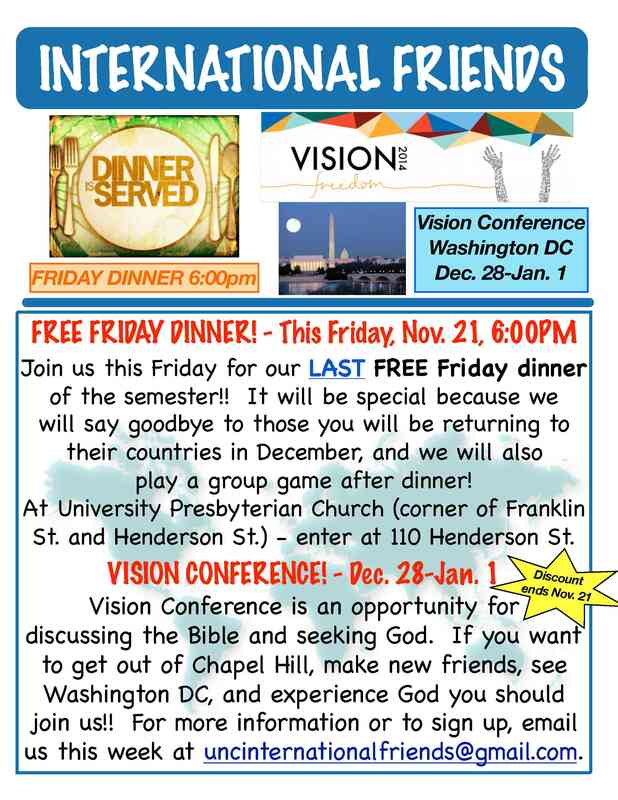 Vision Conference info!